Bikin is a free landing page template that can help increase your site conversate rate. 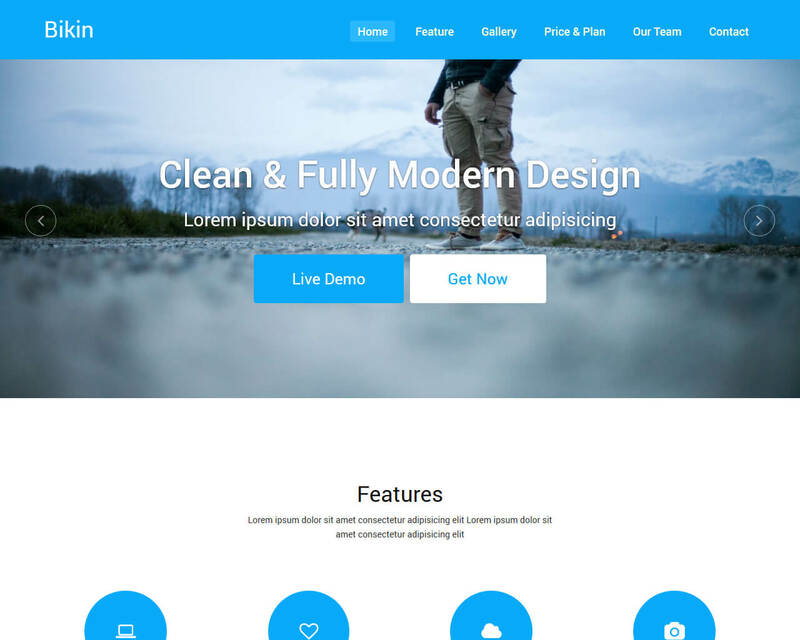 It is a simple template powered by responsive Bootstrap framework. Since the theme is very responsive, you can easily view it on any screen size, smartphone, tablet or laptop. Simply add the info you want to include in your page and Bikin will do the rest. The template is recommended for any type of business and corporate. This one-page bootstrap template will create a clean, vibrant, and modern design to help boost your business. With the template’s awesome slider, you will not have a hard time displaying all the information you need to add. Your websites will become one of the trendiest pages online. This template also features parallax background which gives your website an illusion of depth in a 2D scene. CSS3 hover effects are yet another important feature which makes this template a good option for building your business website.